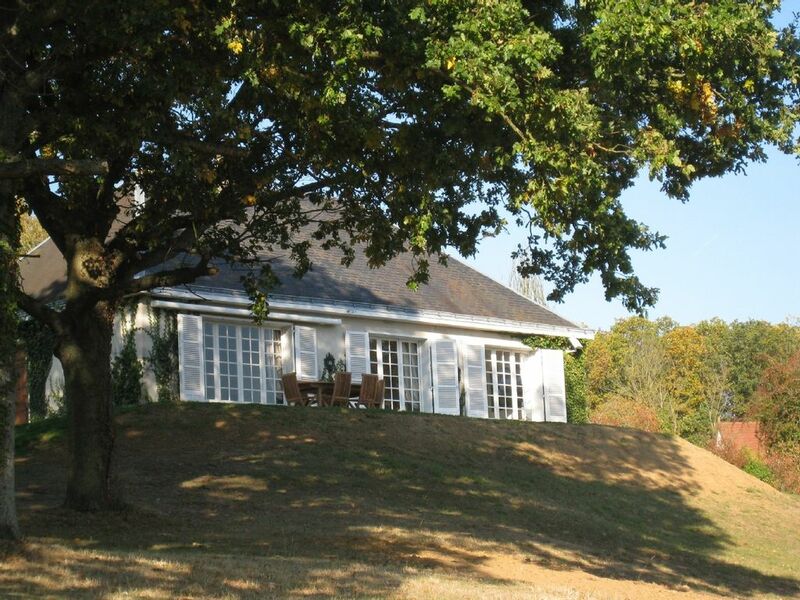 The house is located 65 km west of Paris in a very charming and quiet village with a great view an access on a superb forest. The house has been totally renovated and has three bedrooms, one bathroom, one bed is 160 cm and the two rooms have two beds. It is 50 mn from Paris when traffic is light. Sightseeing: Paris - 40 miles drive; Versailles Palace - 30 minute drive on the way to Paris; Chartres Cathedral - 20 minute drive on the opposite way; The Normandy Coast and WWII landing beaches and museum - one and a half hour drive - you can stay overnight and visit Mont St. Michel and the ancient fishing port of Honfleur; The Loire Valley Châteaux - around one and half hour drive; Monet's home and Gardens in Giverney; and much more! We spent a week at this property – very well furnished – calm - with a very nice garden - a great view on a forest and a very charming village. Excellent value for money. Very well located in the west of Paris. We visited Versailles Palace - the Loire Valley Chateaux and of course Paris. We were met on arrival by Sebastien who settled us in and contacted us several times during our one week stay to make sure we had everything we needed. We stayed in this cosy country home for 6 nights during our recent trip to France. The Idea was to find a "home base" suitable for exploring Paris and its vicinity. The house is very nice, recently renovated, and very comfortable. It is well equipped with everything one might find at IKEA, and lacks nothing other than English speaking channels on the sat TV. The main disadvantage is the location. It is listed as being in Ile-de-France/Rambouillet, while actually it is located in Centre/Eure et Loir, much closer to Dreux than Rambouillet. As a result, the 45 min drive to Paris promised in the listing, might be true if riding a Motorcycle on the weekend. In reality, driving a Minivan at legal speed while negotiating small country roads, creeping behind behemoth agricultural vehicles, and snailing morning traffic to Paris, you can figure on double that timing at least. Overall, we enjoyed our stay and liked the house, but felt a bit misled. * Oct 01-Apr 30 - € 600/week * May 01-Sep 30 - € 700/week * Dec 15-Jan 3 - € 650/week * Deposit of 1/2 of total rental required to confirm booking * Minimum stays of 7 days. Maid service available if desired. * Refundable Security deposit to cover losses or damages €500.